If there were just three words to describe Outwell tents they would be innovation, quality and style. 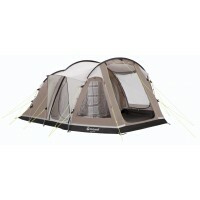 Outwell continues to build on its reputation for designing and manufacturing some of the finest quality camping tents on the market today. 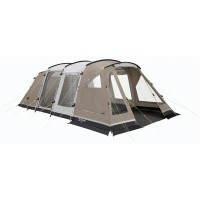 Their innovative approach to tent design means that they never stop improving their products for the benefit of the customer. Designed in Denmark and manufactured in the Far East, Outwell tents will never be the cheapest but what they do provide is excellent value for money. All Outwell tents are designed with family camping in mind which means that all of the tents in the range have stand-up, head height and ample living and sleeping space for families from 2 to 12. 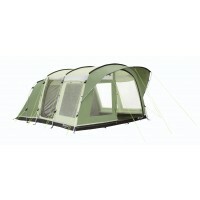 Whether you are looking for a small weekend tent or something large for the full 2 week holiday, you are sure to find a model perfect for you in the Outwell tent range. 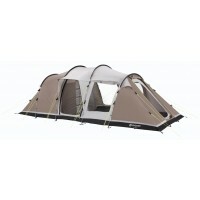 Outwell Ambiente Tents are the pinnacle of quality, function and design. These are 100% cotton tents that are great looking, spacious and offer the family all the home-from-home comforts they could need. The cotton flysheet makes them heavier than polyester tents but also far more breathable which means that the internal temperature remains stable, whatever the weather. Cotton is also a 'quieter' fabric which means that wind and rain noise pollution is minimised. 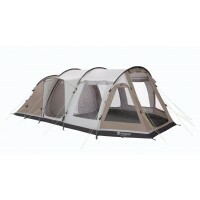 Truly lovely to look at with internal poles sleeves for an uninterrupted, smooth exterior, the Outwell Ambient tents are for the connoisseurs of camping. 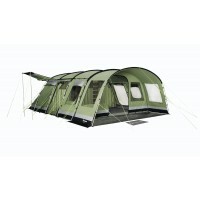 Outwell Classic Tents are poly-cotton tents that have set the standard for luxury camping for the last few years. Everything about these tents from the highly breathable, luxurious flysheet fabric through the clever zip-in heavy duty PVC groundsheets oozes quality. 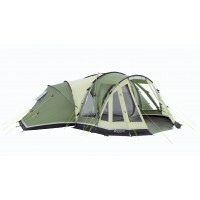 With several different sizes of tent available within the range from the smallish Outwell Trout Lake 4 through to the mammoth Outwell Wolf Lake 7 - there is sure to be a model in the range right for you. Outwell Sun Tents bring to camping a bright, funky, continental appeal, with the Topaz coloured poly-cotton flysheets sure to make a statement on any campsite. 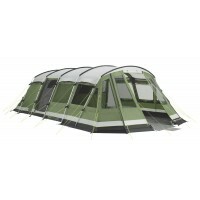 With four variations of style on offer, all with optional Outwell Tent Extensions, whether camping as a romantic couple, or with the whole menagerie, Outwell Sun tents will provide you with plenty of options. 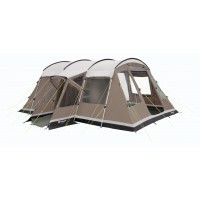 Outwell AvantGarde Tents as the name suggests takes glamorous camping or ‘glamping’ to a whole new level. 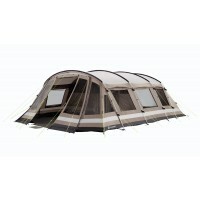 The luxurious mocha colourway with matching internal inners and curtains make the tents in this range a hit with style aficionados. With just 5, 6 and 7 berth options available in this range, these are large tents for large families who want plenty of room – and no little comfort. Outwell Premium Tents contains their best selling models such as the Outwell Montana 6 and Outwell Vermont XL. The tents in this range receive an almost annual make-over and this year Outwell has introduced new frontages to these tents called the Panoramic Front or Panoramic Room – floor to ceiling windows that offer fantastic views out and also the option to completely open the front end of the tent to create a porch area. 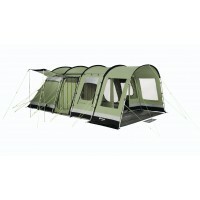 These family tents represent the innovative approach Outwell has to camping from their matching carpets through to the sumptuous matching Front Awnings and Extension you can buy to supplement your tent space. 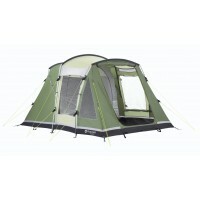 Outwell Deluxe Tents contains Outwell’s mid-range tent offering. 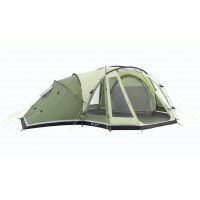 This range offers the largest choice of tents and includes options that are suitable for all types of camping. 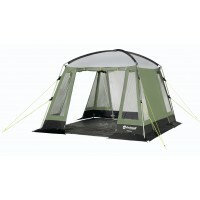 If you are looking for short-stay options, check out the Outwell Monterey and Outwell Birdland tents. 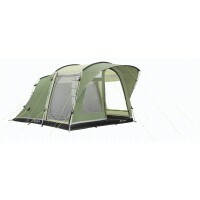 If you are looking for something bigger, check-out the Outwell Montana and Outwell Glendale tents. All of these tents still offer superior technical features including 4000mm HH flysheets, top quality steel or Durawrap fibreglass poles plus a practical eye on the ease and speed of pitching. 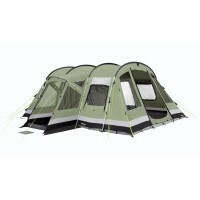 Outwell Smart Tunnal Tents are innovative pop-up tents that are fast, practical and stylish. The Outwell Fusion tents in the range offer a practical alternative to the standard tunnel tent are ideal for festival lovers or touring campers who want the ultimate in speed of pitching.